On receiving a call, Universal Care’s trained technicians arrive at the doorstep of the patient to collect samples. Home collection is completely free of cost and reports can be collected at our centre or can be delivered at home (On Chargeable Basis) the very next day. 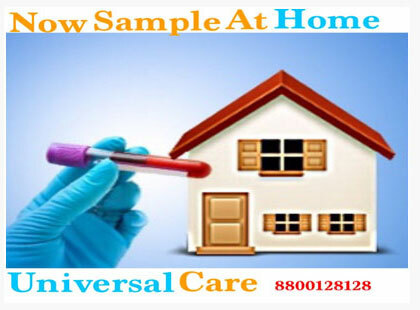 Universal Care Diagnostics has already put in place a network of technicians and an easy call facility to ensure patients get the best of services within the comfort of their own homes. 'Blood Collection Kit (BIK) Box, a sealed, one-time use box containing all components required for safe home collection.